The Jump Audio RXM is a simple wired in-ear monitor system. It is basically a remote volume control for a headphone amp. It works great for studios, choirs, singers, church and worship bands, drummers, keyboard players, and anyone else looking for a simple in-ear system. 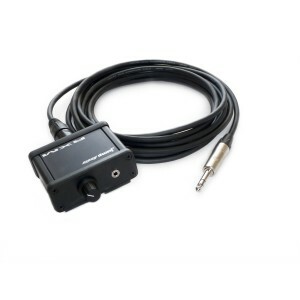 It is a great alternative to the Shure PSM 600 wired system. The system works equally well in touring or fixed installations. The system comes with either a 1/8 inch headphone jack or a 1/4 inch headphone jack.